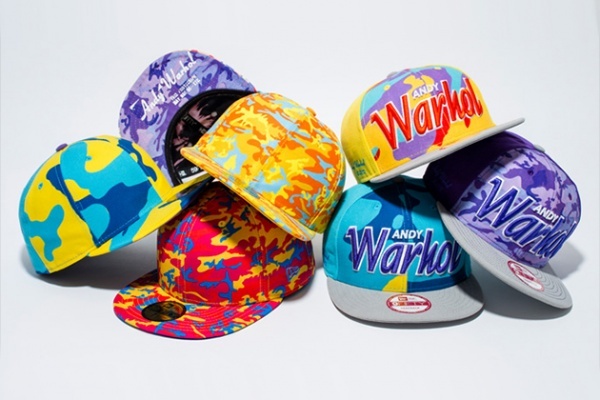 New Era have partnered up with The Andy Warhol Foundation to deliver a collection of snapback and fitted caps featuring different variations of Warholâ€™s psychedelic, twisted camouflage pattern. On the underside of each brim is an imprint that reads, â€œTHIS PHOTOGRAPH MAY NOT BE-ETC,â€ alongside a print of the signature of the pop artist himself. Furthermore, each sweatband is inscribed with a different Andy Warhol quote for an added touch. The collection will be available at select New Era retailers in July, priced at $35-40 USD.